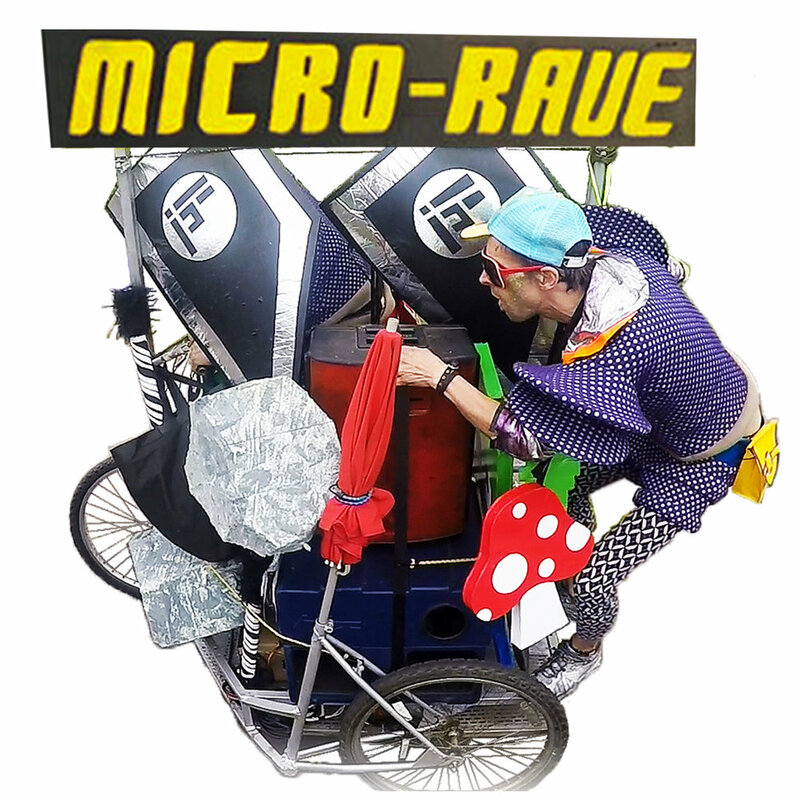 Bringing the wackiest team games and zaniest musical frolics, our fantastic space champions are ready to pedal, play and party at your event with the Micro Rave Chariot. This awesome interactive walkabout is the perfect spectacle for a wide range of audiences, engaging them with all the intergalactic challenges they need. Whether its the Mega-Olympics, the imminent Robot Invasion, a good old game of Slapstick Canoe or an adventure tailored to your needs, we guarantee stupidly good times with great music! ... your audience participation awaits! 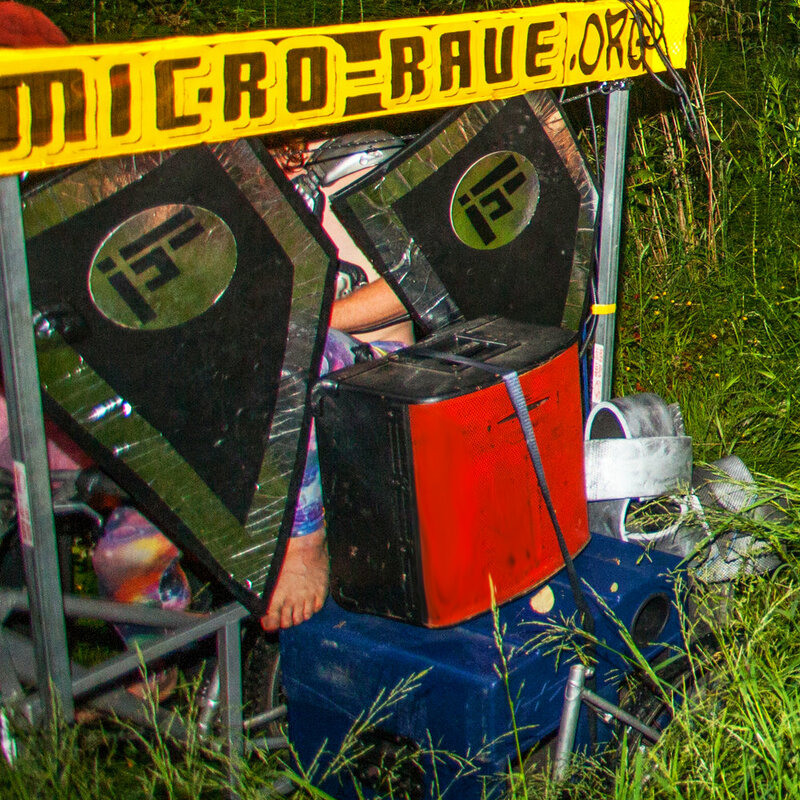 The chariot is of a solid box section construction and is decked out with a battery powered PA and all the props necessary for instant arcade theatre from outta space! We are experienced performers and as such can tailor our narrative and games to suit you. Please get in touch to discuss further. We love this mobile spectacle! 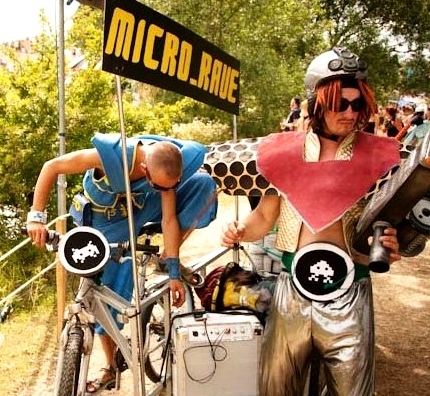 Combined with our experience and unique approach to instant theatre, crowds are entertained and immersed in a narrative tailored for the client. This flexibility alongside our diverse array of characters ensures that the Chariot Sound System becomes the centre of attention wherever it roams.
" 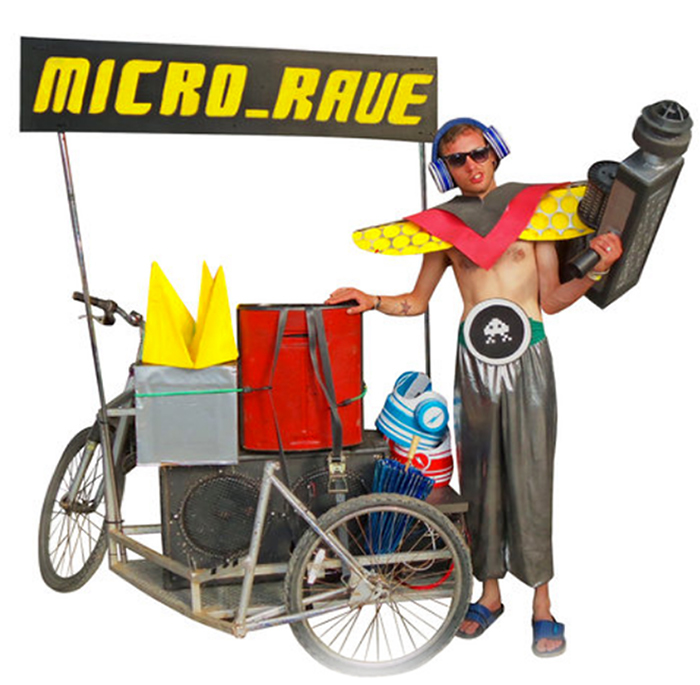 ... then we encountered ‘Micro-rave’ – a pedal-powered trike, which randomly pulls up at different spots and people start dancing.... superb!!!. "